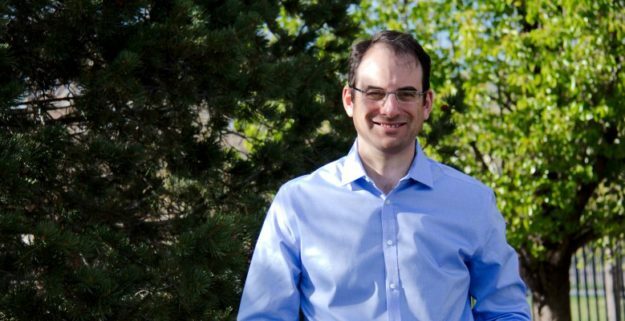 Phil Weiser is the Democratic candidate for Colorado attorney general (Phil Weiser for Colorado campaign photo). Both the Democratic and Republican candidates for Colorado attorney general this week expressed varying degrees of concern about President Donald Trump’s widely criticized meeting with Russian President Vladimir Putin in Finland on Monday. But the two candidates differed substantially on whether a state AG can do anything about it. Weiser, former dean of the University of Colorado Law School and a deputy assistant attorney general in the Obama Administration Justice Department, was referring to Monday’s meeting and Friday’s indictment by special counsel Robert Mueller of 12 Russian intelligence officers for the 2016 hacking of the Democratic National Committee and the Clinton presidential campaign. George Brauchler is the Republican candidate for Colorado attorney general (Facebook campaign photo). 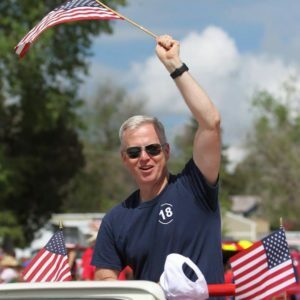 “Where are our leaders – George Brauchler, [Sen.] Cory Gardner, others – condemning Trump’s actions, because this is a moment like Watergate when the rule of law and democracy are challenged?” Weiser told Real Vail in an exclusive interview on the topic. Gardner, a Republican, has strongly condemned Russia without directly criticizing Trump. Weiser, a Democrat, is taking on Colorado 18th Judicial District Attorney George Brauchler, a Republican, to replace Republican Colorado Attorney General Cynthia Coffman in the Nov. 6 general election. Coffman bowed out to unsuccessfully seek the GOP nomination for governor. Weiser went on to say the state AG can enforce laws the federal government refuses to, such as the Affordable Care Act, as well guard against more election meddling at the state level. Reached by phone in Denver on Wednesday, Brauchler, who switched to the AG’s race after first running for governor, said it’s not the state AG’s role to take on the president. But Brauchler, a colonel in the Colorado Army National Guard who’s twice been mobilized for active duty – including a tour in Iraq – said he is greatly troubled by what he saw from Trump and Putin on Monday. However, Brauchler says it’s not the role of the state AG to stand up to the president. It was revealed in September of 2017 that Colorado was allegedly one of 21 so-called “purple” states with fairly even numbers of Republicans and Democrats targeted by social media influence campaigns run by Russian troll farms. In February, Mueller indicted several Russians in connection with those efforts, which were apparently unsuccessful in Colorado. After first attempting to clarify his remarks from Monday’s meeting, Trump on Wednesday contradicted his own national intelligence director by denying that Russia is continuing to target the Nov. 6 mid-term elections. The White House has since denied Trump said Russia is no longer meddling, but on Thursday the president surprised his own intelligence director – who was speaking in Aspen — by inviting Putin to the White House this fall. Amid all the confusion, Brauchler concurs that protecting state elections is a key function of the state AG’s office. “If the question is does the state AG have a role in trying to defend our own election process by enforcing our own laws, absolutely — against foreign and domestic, I get that,” Brauchler said, adding that’s the extent of the AG’s involvement in foreign policy. He pointed out that one of Weiser’s primary campaign ads focused on Trump’s election and how to counter his policies. Thanks for reporting on AG race. We need more of this, because of importance of our AG office. It appears the candidates differ on AG role, with Weiser pointing out some things our AG can do to support rule of law, while Brauchler avoids substance, and instead tries to define his opponent. That sort of posturing is beneath the dignity of any candidate for AG.